Stephen Sackur talks to Pakistani novelist Mohsin Hamid about his latest book which focuses on migration. Browse content similar to 12/03/2018. Check below for episodes and series from the same categories and more! Why does it frighten so many of us? 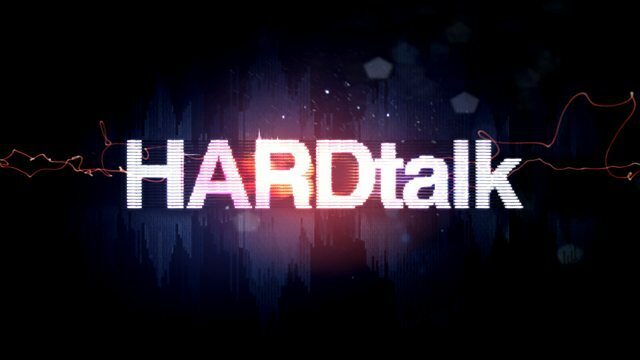 Mohsin Hamid, welcome to HARDtalk. think of as kind of negative. different, of not fitting in. families that you belong to. hope of a decent future is to leave. fiction is the way it takes place. according to physics as we know it. to move very cheaply, they could. into a very short period of time. include that journey at all. different category of human being. dealt with, I think, inhumanely. Paris houses to move out on our own. of sorrow and loss as well. our lifetime and across generations. consequences of that are huge. Was it for you, by the way? as a way of maintaining my identity? couple of months before it happened. having wandered in all these places. coming. They don't necessarily stay. but it's not necessarily the case. who try to help those get through. climate changes, people will move. intelligent machines that can think. How are we going to regulate this? it is not a very pleasant planet. to be nobody 's is Muslim enough. trouble but I think it can get out. we are hunting for in Afghanistan. " be a cockpit of tension and trouble. British did not vote for Brexit. HARDtalk. -- we have to end there. Globalisation is a trend based on movement - of money, goods, ideas and people - across continents and national borders. In a world of glaring inequality it has stirred a powerful backlash manifested in the rise of nationalism and identity politics. This clash of human impulses is fertile territory for the Pakistani novelist Mohsin Hamid. In his novels he has explored cultural, economic and religious tensions between east and west, rich and poor. His latest book focuses on migration; why does it frighten so many of us?